Reiki for Beginners: How to Heal Yourself with Reiki - Kindle edition by Brooke Betts. Religion & Spirituality Kindle eBooks @ Amazon.com. Would you like to learn how to heal yourself and help others? Written by a Reiki Master Teacher who has attuned over 200 people around the world to Reiki, Reiki for Beginners: How to Heal Yourself with Reiki is a must-have guide to everything you need to know about this sacred Japanese healing art. Discover why this ancient energy healing system has gained mass popularity in recent times. Understand how Reiki heals mind, body and soul. Learn an extremely easy technique for deep relaxation and peace of mind... and much, much more. As anyone who has received a Reiki healing treatment knows firsthand, Reiki is nothing short of life-changing. This magical energy has been known to heal everything from headaches and broken bones to cancer, anxiety and depression. Learn how to reduce stress and tap into your full potential with Reiki. A Reiki attunement will increase your psychic abilities. Teach you how to stay calm in this busy world of technological overload and to-do lists. Improve your life in ways you can't even imagine. Reiki will heal you on a soul level, remind you why you are here on Earth in these exciting times, and help you get in touch with your true purpose. Regardless of whether you want to learn Reiki for personal healing, to help others, or to send healing energy to the animals of our world who are so desperately in need, one thing is certain: once you become attuned to Reiki, your life will never quite be the same again. You will be stronger. More in touch with your POWER. Better able to stay centered no matter what happens around you. The time is now. Let's make this world a better place, one Reiki practitioner at a time. Are you ready to learn how to activate your healing abilities with Reiki? Start today by scrolling to the top of the page and clicking the Buy button. We sure can use you! 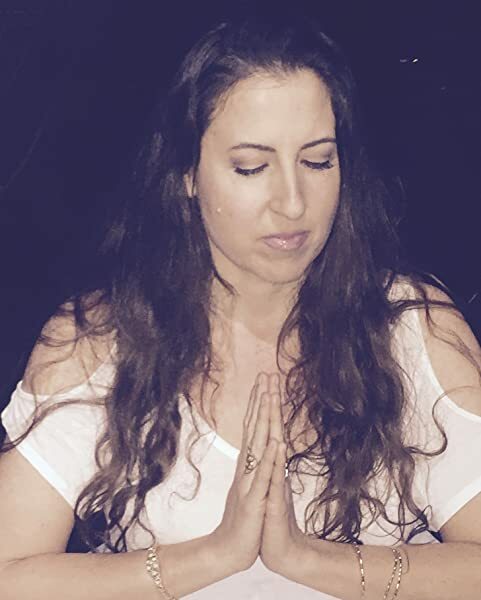 Brooke Betts is a Reiki Master Teacher who has attuned over 300 people around the world to the beautiful Japanese healing technique of Reiki. A thought leader in the field of Energy Medicine, Brooke is a firm believer that we each have the ability to heal ourselves. Her mission is to spread this ancient wisdom throughout the world and create as many Reiki practitioners as possible. Brooke offers online Reiki classes at ReikiTrainingClasses.org and also holds Reiki and Sound Healing retreats in Sedona, Machu Picchu and Big Sur. 5.0 out of 5 starsWonderful book from a wonderful teacher! What a wonderful book on Reiki! Brooke was my Reiki teacher a couple years ago, and was just amazing...learning Reiki from her was one of the best experiences of my life and it changed me in many profound ways. So when I saw that she had written a book I was so happy. I just loved reading this and it refreshed my love for Reiki. It contains a brief and simple explanation of Reiki, enough to let you know if you would like to learn more, and it also contains some beautiful wisdom for anyone (interested in learning Reiki or not) on how to live more peacefully and happily. The book feels very soothing and peaceful and knowing Brooke, that is because it is infused with her essence...she truly "walks her talk" and is one of the kindest and most loving people I know. 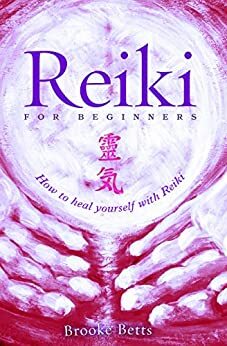 So if you you want to learn the basics of Reiki, enough to know if you would like to learn more and get an attunement, I strongly recommend this book. And if you DO decide to learn Reiki, there is no better teacher out there to learn from than Brooke! 5.0 out of 5 starsNicely done. I enjoyed reading this book. She was interesting as well as factual. Easy read. Thank you for making this book available. Yes I would recommend this book. Easy read for everyone. I really enjoyed this book, it kept my attention. It provides good information and history and also spiritual motivation. The book is an easy read. It opens your mind and is soothing to the soul. It leaves a lasting impression. 5.0 out of 5 starsReiki 101 in an easy read! Awesome read! Covered the essentials one would want to know about reiki. Easy enough to read in one sitting. Inspires you to seek more. This is a great introduction to reiki. This book is easy to read and understand. Great for beginners! I just wish it had more information. Thank you for this book.